Every residency class seems to have its mascot, someone who plays well with others, doesn't whine or complain, remains congenial under even the most trying of circumstances, and perhaps most importantly, makes us laugh. Our class had a mascot, and his name was Ahmet. During my second year of anesthesia residency, Ahmet and I went through most of our rotations together, and he became sort of like a little brother to me. His family was Turkish, and they immigrated to the United States when Ahmet was one year old. He and his sister, Asli, grew up in Michigan, where they attended high school and college. He loved soccer, and his trademark was a red Adidas jersey with white stripes on the sleeves and a tiny Turkish flag emblem emblazoned on the front. After medical school at Wayne State, Ahmet did a year of internship in Columbus, Ohio. 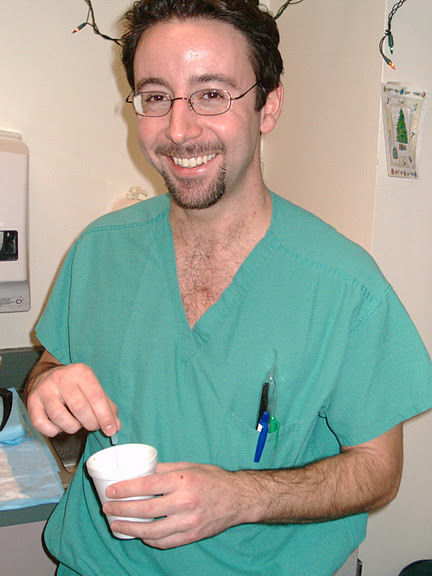 He then came to Emory, where we all began three years of anesthesia residency together. To say that Ahmet was liked by us would be almost criminal: he was cherished, exalted, respected, and we all wanted to be counted among his friends. He was beloved. Ahmet was incredibly well read, and was especially gifted in airway management. He could frequently be seen strolling down the anesthesia hallway after morning conference, engrossed in conversation with our department's airway guru, Dr. Ghani, a fatherly Palestinian anesthesiologist with a very heavy accent and an incisive wit, who happened to live down the street from me. Even during our first year of clinical anesthesia training, Ahmet demonstrated proficiency and knowledge that we were all a little envious of. He was a wonderful teacher, and I suspect that he may have chosen to remain in academics after we graduated. Ahmet's sense of humor was epic, almost legendary, and he was a skilled practical joker. You never knew when to take him seriously. When we were junior residents on our OB rotation, Ahmet rigged up an elaborate "water torture" gag to surprise the grumpy senior resident who was taking call that night. The call room was dingy and windowless, containing only a bunk bed and a phone. If we were lucky, housekeeping would come and change the sheets on the plastic-coated mattress, but more often than not, we had to do it ourselves. Ahmet took an IV bag and some tubing, ran the fluid through the tubing, adjusted the roller clamp to just above the "off" position, and hid the liter-sized bag of fluid under the midsection of the bottom mattress. He concealed the tubing up the side posts and under the mattress of the top bunk, with the uncapped tip of the IV line positioned right over the pillow on the bottom bunk. The idea was that when the unsuspecting resident laid on the bottom bunk, the pressure from his weight would be transmitted to the full bag of fluids, which would then drip slowly onto his forehead as he tried to sleep. It worked like a charm, and we laughed about that for a long, long time. Sometimes, when we were bored, we would think of interesting things to do with anesthesia equipment, like using spinal needles as darts or coffee stirrers. 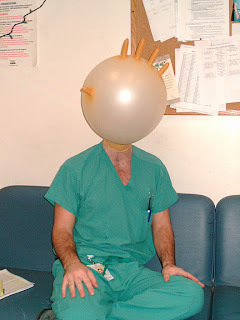 Ahmet actually devised a way to get his entire head inside a sterile latex glove by inflating it with a little bit of air from the anesthesia machine. The air-filled fingers of the glove resembled a cockscomb, and I can still see him, lumbering down the hall, looking like a big bubble-headed Frankenstein chicken. Our final year of residency was an exciting time. We attended fancy dinner meetings where we learned about anesthesia contracts and billing. We interviewed for jobs. We were assigned to the most difficult cases, and, for the most part, were no longer micromanaged by our attendings. I remember being on call with Ahmet one night at Emory Hospital. He was taking buddy call with a junior resident in the ICU, and I was on call for surgical services. Our rooms were right next to each other. He paged me that evening, inviting me over to his room for some take out sushi and a game of cards. The hospital must have been very quiet that night because we sat in that room, eating and laughing and playing cards into the wee hours of the morning. Just before my shift ended the next day, I got called for an airway emergency. The patient was a known difficult intubation, and I was worried about how to proceed. Ahmet offered to come along with me, suggesting that we spray down the back of the patient's throat with some local anesthetic and simply take a look with the laryngoscope. As usual, his minimalist approach paid off, and I was able to slide the breathing tube right in. Sometime during September of 2004, my husband and I hosted a dinner party, where I made lamb shish kebab in honor of Ahmet's Turkish heritage, and he brought over a bottle of Graham's Six Grapes port. It struck me as funny that a young guy like Ahmet would enjoy sipping port. He and I were splitting a rotation at the VA hospital the next month, and we both were looking forward to it, mostly because the VA was a place where you got to function independently as a senior resident. We were in the residency home stretch, and nothing could stop us. In mid-October, I was finishing up my two weeks at the VA, where Ahmet was subsequently scheduled. On my last day there, a Friday, I received a page from him, asking for some specifics about the rotation, such as what time to show up Monday morning and how to get patient information from the computer system. He was leaving for a weekend trip to the Kentucky mountains near Cumberland Gap, accompanied by some childhood buddies, as well as several of his friends from residency. I believe that they had rented a cabin, and that they had hiked in those mountains before. The weather in Atlanta was grey and overcast that weekend, and although I have no idea what it was like up there in the mountains, I suspect the scenery and views must have been spectacular. On Sunday morning, I received a call from one of our chief residents, Todd, who also happened to be my best friend. His normally animated voice was chillingly mechanical. 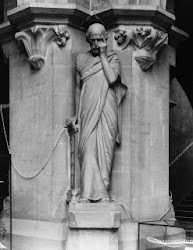 In a whisper, he told me Ahmet had died. In an attempt to get a better camera shot of his hiking group, Ahmet had disregarded a safety rail, located in front of an overhang. When his friends looked up to have their picture taken, Ahmet was gone. Thinking it was one of his usual jokes, they rushed over to the area where Ahmet had been standing. They could see his body, several hundred feet below. Almost instantaneously after stepping onto that ledge, Ahmet had lost his footing, falling to his death. The rescue was complicated by the nearly vertical drop; it was impossible for his friends to get to him. I believe he died almost instantly, and pray that he did not suffer. Overcome with grief, I ran down the street to Dr. Ghani's house to tell him what had happened. We stood quietly, in his living room, reeling from the shock. There are no words to describe the sense of tragedy and sadness we all felt. For some of us, it was the first time we'd experienced the loss of a friend so close in age. For others, it was like losing a brother. Eventually, we moved on with our lives, graduated from residency, and went our separate ways. For many years now, I've kept that bottle of port in my living room. The wine, no longer drinkable, is a constant reminder of the ephemerality of life; in the smooth green glass, I can see immortality, very similar to how I remember Ahmet. Ahmet, wearing an air-inflated sterile latex glove. Kris, I can't tell you how much this piece meant. I was surprised at how much it affected me...I found myself sobbing at my desk at work while reading it. You describe Ahmet so perfectly and beautifully. It's so comforting to know he is still remembered and cherished by those who knew him. Asli, I am so glad you enjoyed it! Writing about Ahmet brought back so many wonderful memories, and I still think of him often! I met Ahmet in the fourth grade. We were best friends, growing up in michigan and eventually went to med school together. Ahmet was my best friend and the best man in my wedding. Your story captures him perfectly. Thanks. I have known people like this. We are drawn to them. I have lost a friend who was the one that entangled the crowd with desires to see what is next. People like this are truly inspirational as most of us life life on the cautious side. Very nice post, of course, made me think. What a beautifully sad post, Kris. It sounds like he will live a long time in many people's memories. What an incredible tribute to a wonderful man. There are people who teach us how to live and love...and I believe Ahmet must have been one. What a beautiful tribute to a wonderful man. There are people who teach us how to live and love and I believe Ahmet was one. You are very lucky to have known him. Thanks for a lovely read. What a special person. It's a heartbreak. My ex-husband is/was like that. Beloved beyond measure by pretty much everyone. It's a pretty rare quality, I think. It is awful when people you care about suddenly disappear, it was a wonderful post and a great tribute to your friend, sorry for your loss. Kris, what a sad story. That this vibrant and beautiful man's life should've been cut so short. This is how it truly is. We're all of us standing on that edge, each second of our lives, and never realize it until the moment we slip and drop off. it's so sad! i like how you describe your friendship and his sense of humor. i guess this just tells us how capricious life is. as i said in forum, life is no fun without risk, but too much risk is dangerous. so we play in between, enjoy each day a time. i roughly remember one of NP's aphorism: persons die, life goes on. Kris, Your friend sounds like he was an amazing man! Such a tragedy that his brilliant life was cut so short. I am glad that you have such fond memories of him. What a loving tribute to your friend! I believe I would have loved Ahmet too if I had ever met him (what a wonderful face he had, such expressive eyes!). When I got to the part where he died, my heart just sank; he was such a beautiful soul. And how sweet that you keep that bottle of port! Thank you for sharing this with us.